There are many reasons why tractor-trailer accidents occur. Unfortunately, the majority of these crashes result in deaths. For those victims who do survive, injuries are often catastrophic ones, leaving permanent injuries and disabilities for the victim and their families to deal with the rest of their lives. A Virginia truck accident attorney can advocate for victims in tractor-trailer claims and lawsuits filed against the at-fault party or parties. 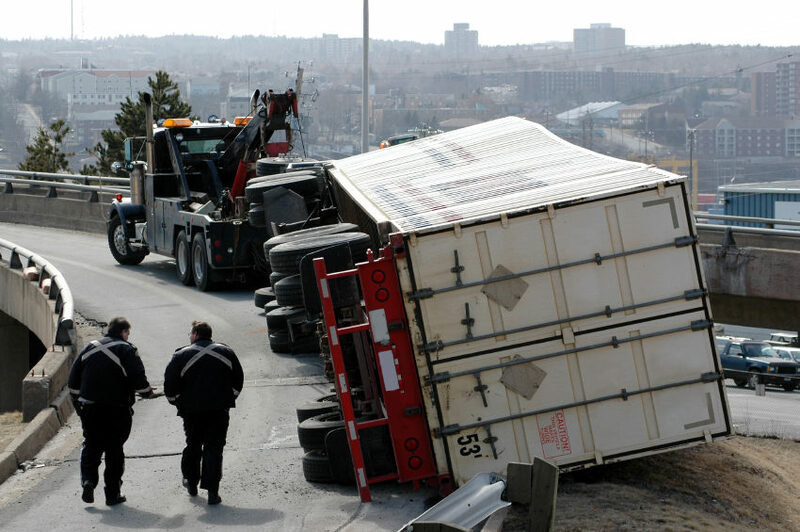 Truck accident cases are more complex than other types of crashes because there is often more than one party who is responsible, including the truck driver, trucking company, freight company, or truck manufacturer. The following are some of the less common causes of commercial truck accidents that are the cause behind the crash. According to studies conducted on truck drivers, approximately 85 percent of them are overweight or obese. This is often due to the long hours they spend on the road, leaving little opportunity to exercise. Many of the meals truck drivers eat on the road come fast food establishments, which also play a major role in obesity issues. Being overweight or obese usually results in health issues which can greatly affect the ability of truck drivers to safely operate these massive vehicles. One of the most common of these medical issues that has emerged over the past few years is sleep apnea. When a person suffers from sleep apnea, they stop breathing multiple times while they sleep. This results in the sufferer feeling fatigued and unable to concentrate during waking hours. A truck driver suffering from sleep apnea has a great risk of falling asleep while they are driving. One of the common causes of sleep apnea is being overweight. Many studies have found that many truck drivers suffer from this dangerous condition, but are completely unaware. Other undiagnosed – and dangerous – medical conditions that truck drivers suffer from include diabetes, heart disease, and high blood pressure. Operating a commercial truck is much different than operating a passenger vehicle. It requires training, skill, and experience. Due to their weight and size, commercial trucks such as tankers and tractor-trailers need to be handled with precision, especially when turning and braking. It is critical that anyone who will be operating one of these vehicles is thoroughly trained and pass both written and driving tests before being given the keys to one of these vehicles. An untrained or inexperienced truck driver who gets behind the wheel can run into many issues that end up causing a crash, including not allowing enough time for the vehicle to stop when braking or overcorrecting. It is up to the trucking company to ensure the drivers they hire are physically fit and qualified to be behind the wheel of the truck they are driving. Unfortunately, too many companies put profits before safety, resulting in deaths and severe injuries. Investigations have discovered that many trucking companies evade consequences from federal regulations just by changing their corporate name. If you or a loved one has been injured in a truck accident, contact a Virginia truck accident attorney to discuss what legal recourse you may have against the responsible party or parties. Our legal team has successfully advocated for many truck accident victims and their families and we understand how complex these cases can be. Our attorneys are available to meet and discuss the details of your case and how we may be able to help.